Trailvoyant Blog: Learning to use a compass, it could save your life. Learning to use a compass, it could save your life. A compass can make sure that an “I just got lost” panic moment doesn’t turn into something more serious. Knowing which direction a you're facing is a key to survival when lost. Using a compass is the easiest and most accurate way to do this. 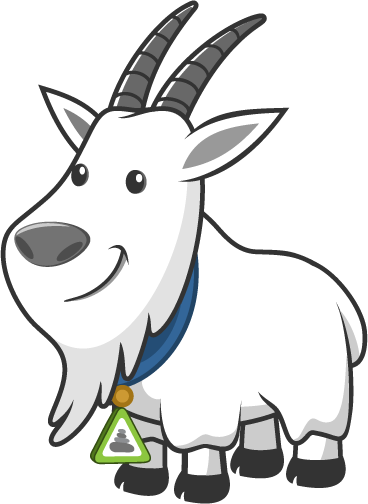 As a Navy SEAL, I carry a compass with me at all times and consider it one of my most important pieces of gear. Even with state of the art technology, military special forces stick to a simple compass as it is more reliable then any electronic device and provides key information to the user. Aside from nature’s ways of knowing which direction is north, south, east or west, there is nothing better then a quick and reliable tool. A compass tells a hiker which direction they are facing and can quickly guide them in a new direction to safety. A compass looks like the image to the right with a 360 degree circle around two arrows. The black arrow points to magnetic north and represents 0 or 360 degrees. The compass also reads 90 degrees for east, 180 for south and 270 for west. This will allow a hiker to know which direction they are facing. The red arrow shows them what direction the wrist compass is pointing. There are many things that a hiker can do with a compass but for now we will just establish that it is used to find north which is really all we care about. How can a compass save your life? 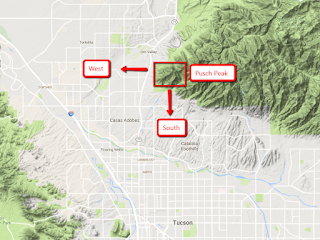 Before a hiker goes hiking they should have a general idea of where the hike is. For example, if I am hiking Pusch Peak, I should know that Oro Valley is to the West of me and the majority of Tucson is to the South. Worst case scenario, if I get lost and I'm worried about survival, I can use a compass to make sure that I'm heading either west or south; therefore heading back to safety and not disappearing further into the mountains by going east. But can’t I just use the compass on my phone? All I will say is that the few times in my life that I have really needed electronics to work for me, they have failed. I relied on my phone once for navigation and as Murphy's Law would ensure, it randomly just shut off with 50% battery and left me high and dry as it would not turn back on. When you are out hiking and there are drastic temperature changes in the mountains, your phone over heats, moisture ruins your phone or your battery just dies you do not want to be left with no other options. An actual compass that does not rely on any electronics is far more reliable than a phone. When it comes to survival and with the exception of a hiker doing some map and compass navigating, there is no need for a compass with all the bells and whistles that is sold at an outdoorsman store. So instead of buying a standard compass that you will have to remember to take on all your trips and might lose, you can purchase a wrist compass that will easily attach to the backpack you always take or will go on your wrist and not disappear while you are on a hike. A wrist compass is easy to reference and a key item for your safety when you are out hiking. 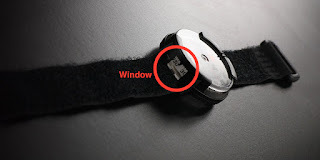 Why the Suunto Wrist Compass M-9? The Suunto M-9 Wrist Compass is a good quality wrist compass that is affordable and looks good too. It is filled with a temperature tolerant liquid which means the compass will continue to work in extreme temperatures, under water and at any elevation. The wrist compass glows in the dark which allows use at night in case the hike runs a little long. 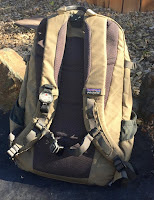 At $25.00 this is a great deal that can potentially be a life saver when it really matters and is a key item to have when out hiking. I would also recommend getting a different band for the wrist compass as the black velcro one that comes with it as it is just a piece of velcro. The INFANTRY 20mm Nato Nylon Canvas Fabric Black Watch Band Replacement Interchangeable Brushed Buckle bands is one option as well as any other wrist band that is 20mm wide. 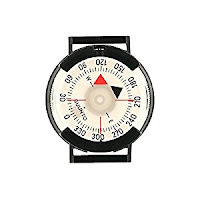 In order to use this wrist compass all you need to do is lift up your wrist, point the red arrow towards what you are looking at and read the number in the window. Don’t forget that the 0 or 360 means North, 90 means East, 180 means South and 270 means West. This article is intended to be a basic introduction to using a compasses. Would you like to learn more advanced techniques from a Navy SEAL? Do you have questions about the basics of using a compass or the Suunto M-9 Wrist Compass? Please let us know in the comments below.